Set within a historic colonial bungalow and perched atop the forested Labrador Nature Reserve, nature and heritage harmonise at Tamarind Hill to present a gastronomic escape away from the city. With its timeless interiors, rustic-luxe décor, and epicurean dishes, the award-winning restaurant is an amalgamation of Asian and colonial influences, perfectly mirroring the city's storied past. Indulge in over 100 Thai and Burmese creations prepared from the freshest ingredients by a team of Thai chefs, who have each contributed heirloom recipes to create an extensive repertoire of traditional and modern dishes. Pick from a selection of house-infused Gins, signature cocktails, and fine wines from over 11 countries. The culinary team is led by Executive Chef Thanyaphat Chadissarawis from the Kalasin Province in Northern Thailand. 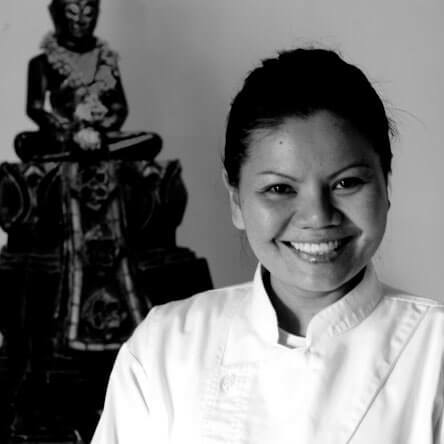 Originally trained in her home country, her drive to broaden her knowledge propelled her to venture out into different Southeast Asian countries, where she had the opportunity to work with a myriad of international fare including Arabic, Japanese, Indian and European. For last minute reservations, please contact us directly at +65 6278 6364. To respect the privacy and dining experience of all diners, the restaurant practices a 'no-child' policy for children below the age of 14. Monday to Friday: 5 p.m. - 7 p.m.
For group booking, special events, or private function, please fill up the form below or contact our event specialists at +65 6270 1868.